Last week, #Maddog was a top trending hashtag during General Mattis' (ret.) Senate confirmation hearing for Defense Secretary. While this nickname may be ideal for social media discourse, it's completely inadequate to describe what James Mattis and other military leaders have experienced over the course of the last two decades. Incoming Secretary Mattis is a strategic thinker who understands how US strength is a cooperative endeavor. Today's military readiness, in fact, requires it. As we move through the rubble of campaign rhetoric into a new administration, the best way to support our own disrupted democracy will be to understand today's security threats and the individuals who are in charge of protecting us. Always look beyond hashtags. Remember, General Mattis served during a pivotal time of transition at the end of the Cold War, when old notions of strength changed dramatically. From the end of World War II until 1991, strong militarily states were the threat. Our Cold War policy of deterrence relied on mutually assured nuclear destruction. In those days, security risks looked linear, technological and even predictable--a Soviet Army on the border of East Germany. In contrast, today's security risks look chaotic, human and even random--a teenager in Minneapolis targeted online, cultivated by peers and recruited by ISIS. Today, weak and collapsed states pose dangers that can't be solved using the methods of the last century. It used to be that military power was measured through the application of force. But in the modern world, deadly force is often counterproductive. Fixating on it as the sole solution will make our problems worse. After all, to an ISIS fighter, "I'm going to kill you" isn't a deterrent, it's an incentive. Today's defense strategy must recognize that the definition of modern power includes the ability to influence positive change. 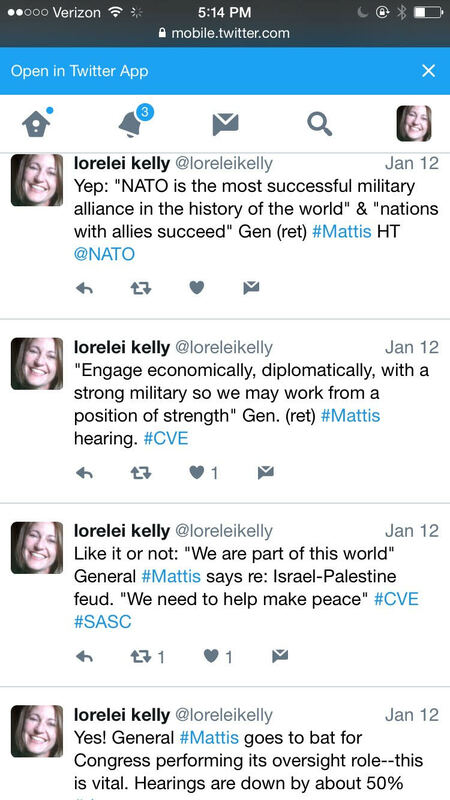 Incoming Secretary Mattis knows this. His active duty experience happened during the globalization of national security: Terrorism, malevolent ideology, state corruption, cyber attacks, disruptive climate, human migration, contagious disease, nuclear material proliferation. These are mutual threats and powerful countries know that they must be addressed collaboratively by helping willing partners build inclusive governing systems. The North Atlantic Treaty Organization (NATO) is the world's most successful military alliance partly because it supports these activities. Secretary Mattis wants to focus on building a strong military to fight and win our nation's wars. That's a fine goal, but to truly achieve a modern security strategy, we must fully embrace non-military methods of prevention as the necessary foundation of the larger objective. If we don't, the military will continue to be dragged out of its remit and into crisis management. Promoting social cohesion and local resilience are the goals of prevention. Socially cohesive societies work for the well-being of all their members. Resilience is the ability to navigate successfully through disruption and change. These are usually tasks for people in normal clothes, not uniforms. Murky, urgent and potentially violent situations are not going away. Barring a comprehensive push for prevention, the blurred lines in our strategy will continue to cause policymakers to default to the military. The coming years are going to present us with a whole menu of threats caused by grievance and despair. The goal of ISIS and other violent extremist groups is to manage chaos where it exists and create chaos where it does not exist. The goal of Russia, it seems, is to degrade and destabilize democratic systems. Other chaos creating trends--refugee flows, climate disruption, disease--continue. The only way we can truly get in front of these threats is through a comprehensive focus on prevention. A primary driver of violent extremism is predatory governing. We should be seeking and supporting alternative structures to contain and share power. It doesn't have to be called "democracy," but our strategy does have to be local, legitimate and atuned to emerging opportunities for cooperation. It for sure shouldn't use the word "counter" as that signals use of force and will limit participation. US troops were recently stationed in Poland. Russia's actions against democracy are putting our best chance at successful, modern government at risk. American troops are fighting ISIS in the region of Northern Iraq. Our military has a considerable set of ongoing responsibilities. For this reason, we must double down on methods of prevention where if the military is involved, it is in non combat support roles. And we must not back away from the need for civilian leadership . Our goal should be to help countries out-govern the extremists in their midst. This is not a job for the use of force, or even just for the US government. It will require the private and public sectors, humanitarians and diplomats, students and citizens. It will require even more cooperation and support among our allies. Only a concerted surge can spur an upward virtuous cycle of life chances for more people. Most important, it will mean that the new administration and Congress must fully fund our civilian agencies--the diplomats at the State Department and our experts at the US Agency for International Development. "Maddog" Mattis is a military man through and through. But he fully understands that the challenges we face will require supportive teamwork beyond the military. Look more deeply at individual personalities and understand that our government is made up of many experienced and principled leaders that deserve your support. If you still believe in America, help our governing institutions work. 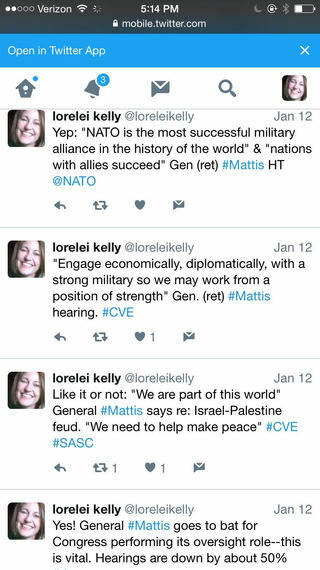 Incoming Secretary Mattis can uniquely make the case for a modern national security strategy -- one that insists on prevention -- to all of our political leaders.